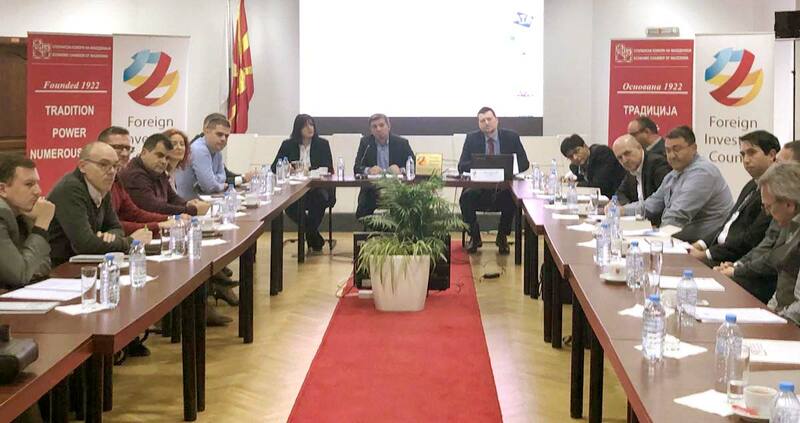 At the constitutive session held on November 30th 2018 (Friday) in the Economic Chamber of Macedonia was established Association of foreign companies with technologically advanced production within the Foreign Investors Council. In front of the large number of present representatives of foreign companies from the technological industrial development zones and from the industrial zones in Macedonia, the existence of such Association, will represent and advocate the specific interests of its members. The initiative for establishing such a body came from several foreign investors in the country, to gather at one place all foreign companies located in the technological industrial development zones and in the industrial zones in Macedonia, in order to formalize their position and needs in communication with state authorities. The Rules on the organization and manner of work were adopted at the session, and the bodies of the Association were elected, and at the same time a fruitful discussion was opened between foreign investors on the current situation and the identified issues they face in their work in the country. Viktor Mizo from the Kostal company was elected as the president of the Association, and Sonja Stefanovska from Baumer, Jathin Takrar from Dura Automotive and Borijan Borozanov from Aptiv were selected as his deputies.